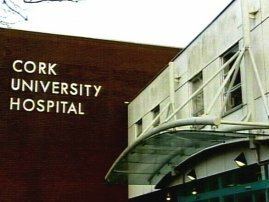 South / South West Hospital Group can confirm that in order to minimise unnecessary travel risks for patients, all elective and outpatient appointments have been cancelled for Thursday, 1st March, and Friday, 2nd March 2018 in Cork University Hospital; along with The South Infirmary Victoria University Hospital; Bantry General Hospital, and Mallow General Hospital. · The Emergency Department will operate as normal. Priority will be given to the most urgent cases. The National Ambulance Service will also operate as usual. · Cancer Services will continue as normal. · Elective/Scheduled/planned procedures: Patients who were scheduled to have a planned procedure on either Thursday,1st March, or Friday, 2nd March 2018 are advised that procedures have been cancelled. Again, patients do not need to attend or contact the hospital and their appointments will be rescheduled as soon as possible. · Maternity: In the interests of safety for mothers and babies, maternity patients are being assessed and will be contacted on an individual basis regarding their care and follow up. All the hospitals within the SSWHG are fully briefed on plans and updates emanating from The National Emergency Co-ordination Group. Hospitals within the Group have a range of contingency plans in place to ensure that the needs of both their patients and staff are catered for. These include liaison with other agencies including the National Ambulance Service, Local Authorities, the Gardai, the Defence Forces and others. Depending on the severity of the weather event, hospitals in the SSWHG will use the services of local radio stations to communicate with the general public as required.